Lots of great video screens last night, behind a band who has been there and is back again. 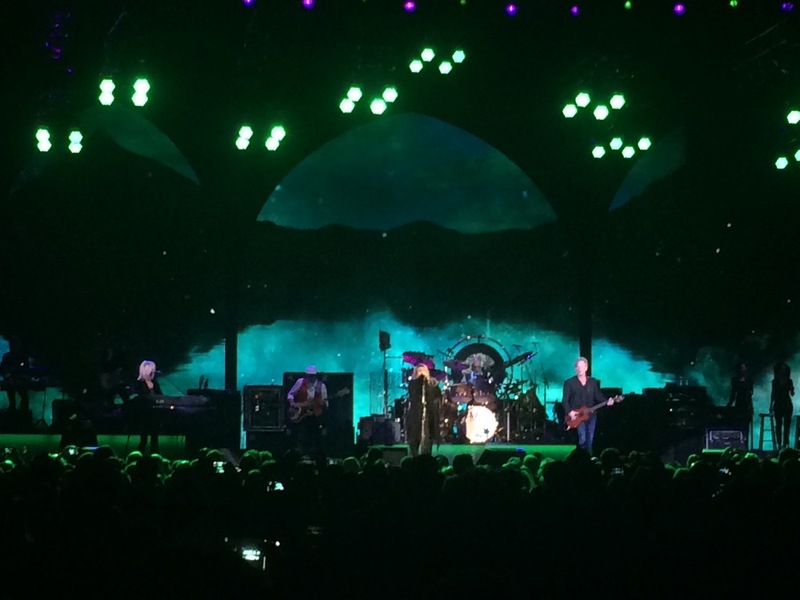 Last night I saw Fleetwood Mac. And I’ll have what they’re having, because these guys are giving the over 50 crowd, hell the over 60 crowd, a good name. AARP, take note. If you need some celebrity endorsers, call the Mac. Christine McVie is 71, John McVie is 69, Mick Fleetwood is 67, Stevie Nicks is 66, and Lindsay Buckingham, the baby of the band, is 65. AND THESE GUYS CRUSHED IT. Hey Sharon! 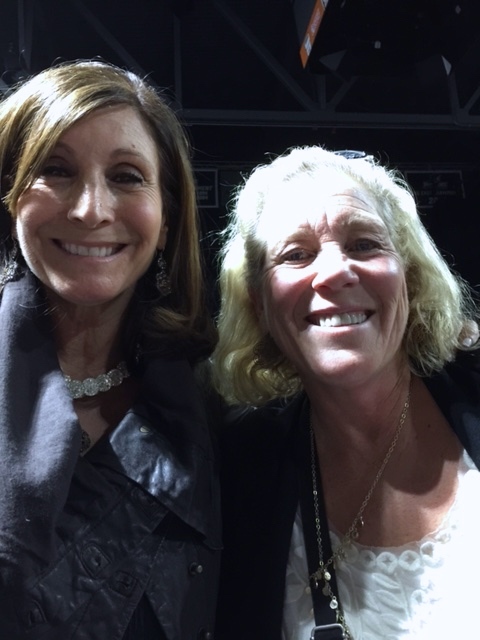 I bumped into my high school friend at the show! Turns out tripping down memory lane with FM was pretty great. Stevie Nicks did a lot of talking to the audience, which was really nice. In fact, the only person who never said a word, was Jon McVie. Everybody else, had some inspiring and grateful words. Stevie is still rocking layers of clothes, and still has long blond hair. Her voice was strong on some songs, not so much on others. But she was crazy likable. And at one point talked about the way the band formed, and how if you have a dream, you should go after that bad boy. I found it pretty inspiring, and not like canned chatter. Christine McVie was more subdued, but sounded great. Lindsay Buckingham was the star of the show, for me. The dude CAN PLAY GUITAR. He had some solos that were absolutely astonishing. He was a real revelation. And forget it, if you’re thinking these guys came out and played an hour and called it, like Miss Aretha Franklin, who I saw a few years back, and who did more costume changing, than singing, this show was a full 2 1/2 hours. I’m telling you, these people were in good shape (Peter and I, who stood for the whole concert, on the other hand, were pretty exhausted by the end). Aside from the music, and the chatting, I felt like there was a lot of gratitude on the band’s part last night. Much of what they said when they spoke, was about what they’d all been through personally and professionally (divorces, break-ups, drugs), and how they’d endured, and how grateful they were to not only just be standing, but to be singing. It was very cool. I feel younger already.